Directors of Chabad of Bournemouth. Rabbi Yossie was born in 1965 and was educated at The Central Lubavitch Yeshivah in New York. As a Rabbinical Student, he was sent by The Lubavitcher Rebbe with a group of students to study and train at the Rabbinical College of Australia and New Zealand. Rabbi Alperowitz received his rabinical degree in 1987 and taught Jewish Law and Chassidic Philosophy at Machon Chana Women's Institute for Higher Learning. He also worked at the NCFJE (National Committee for Furtherance of Jewish Education) in New York. Rabbi Alperowitz is also the author of "Or Hatefilah" - an anthology of Chasidic explanations on prayer published in five volumes, and "Pearls for the Shabbos Table" - from the teachings of the Lubavitcher Rebbe. 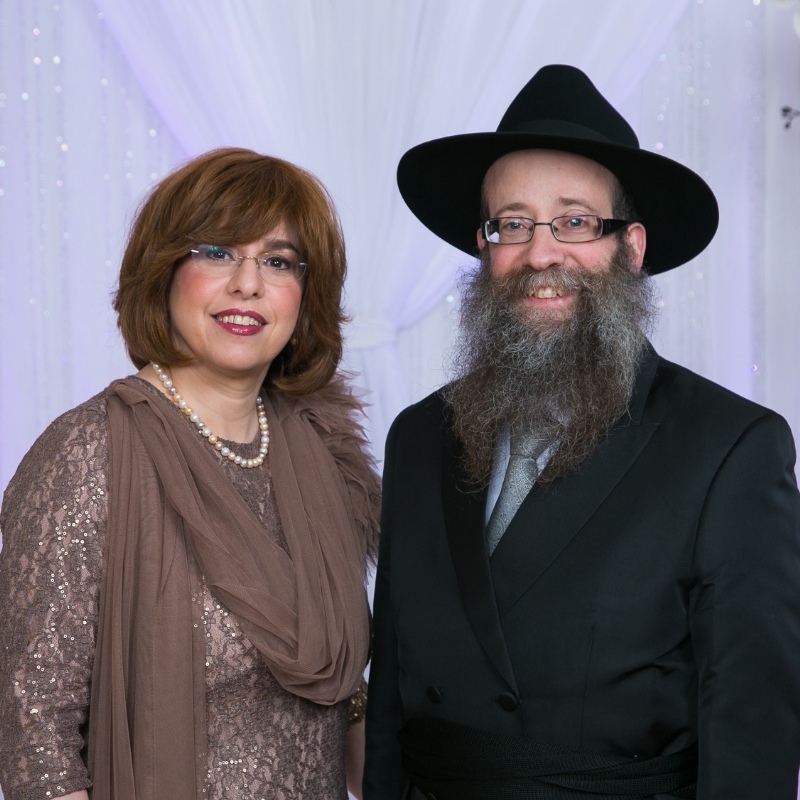 Mrs. Chanie Alperowitz (nee Sudak) was born in 1966 and was educated at Lubavitch Schools for Girls in London. She studied at Beth Rivkah Seminary for advanced Judaic Studies in New York and graduated with a Teacher's Diploma in 1984. In the summer of the 1980's she organized and directed Gan Israel Day-Camps in London. 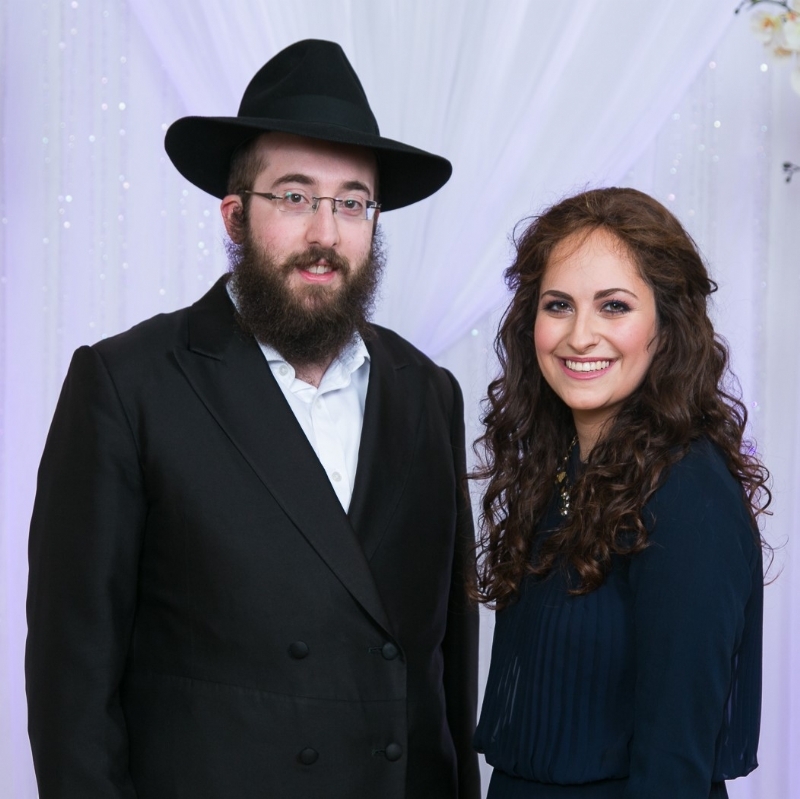 Rabbi Bentzion & Chanchi Alperowitz joined Chabad of Bournemouth in 2016 and have since added many programmes for the benefit of the community. Rabbi Bentzion was born in Bournemouth and received his Yeshiva Education in Manchester, Israel and at the Rabbinical college of America in Morristown, New Jersey. He was Ordained in 2013 at the Central Chabad Yeshiva in New York. Rabbi Bentzion now serves as assistant Rabbi and lecturer at our adult education programme. Rabbi Bentzion also runs events and classes for the Jewish students at the Bournemouth universities. Mrs. Chanchi Alperowitz was born and raised in Valley Stream, New York. Growing up, she always had a passion for education, particularly for young children. She worked in various summer camps in the U.S. throughout the years and later taught in preschools in Connecticut and in New York. She was educated in Beth Rivkah School in Brooklyn and then in Machon Shoshana in Jerusalem. Chanchi is currently the Principal and Administrator of our Children's Hebrew School, runs our teen programme and co-ordinates holiday events for toddlers, children and teens.